These are my hand picked components and hardware for the perfect leap into this CNC process. 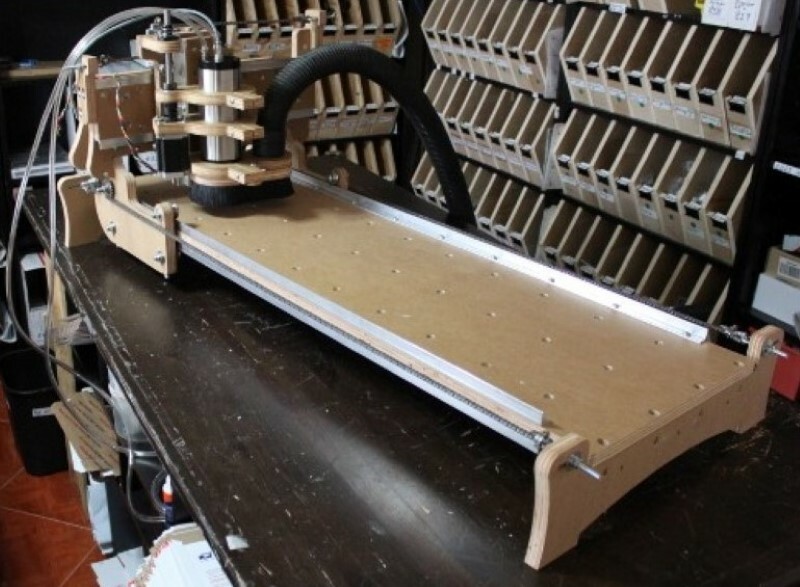 You will also get the cut sheets and plans for cutting the necessary MDF pieces for a CNC design that can be made with conventional power and/or hand tools. 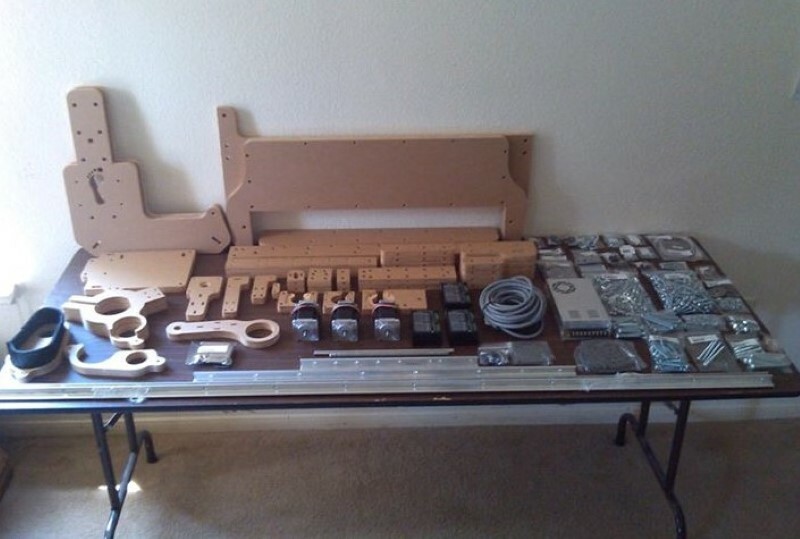 Includes all of the hardware necessary to build the CNC router: Linear bearing angles (bored and tapped), cross dowels, couplings (1/4" to 1/2" on all three axes), bearings for the linear rails and lead screws (24 - 5/16" and 6 - 1/2") , and the nuts and bolts at various sizes. The lead screws and rails are not included. Now, go out and buy that $9.00 MDF and get started. This package is available now and shipping! Note: As of 11/7/2016 The CNC Plans and Hardware Kit has been discontinued. This page will be left here as a resource for anyone who is still following the original book and plans. Aluminum Angles for rails (.75"x.75"x.125"). 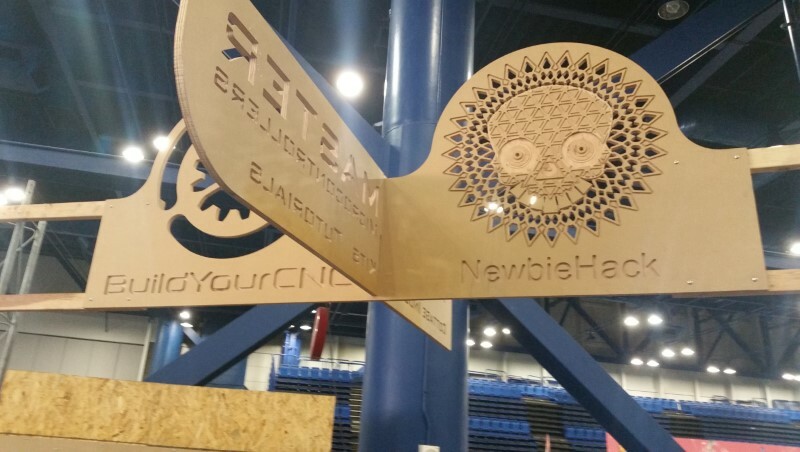 We're proud to be affiliated with the Katy Makerspace. We recently provided them with a blackToe for their members to use. In this first part we'll be examining how they went about organizing parts for the initial build, as well as constructing the table. 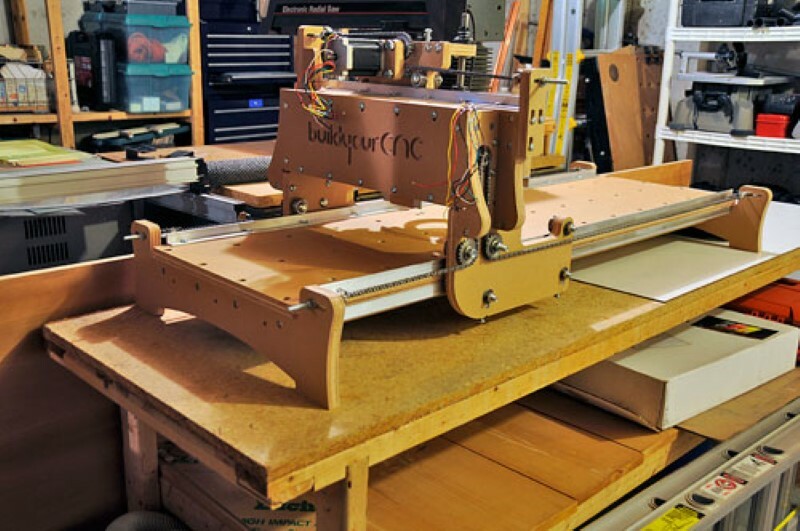 BuildYourCNC is pleased to announce the new blueChick v4.2 assembled machine. Here is the official press release.